​Unique and exciting experiences come thick and fast on this outstanding holiday. 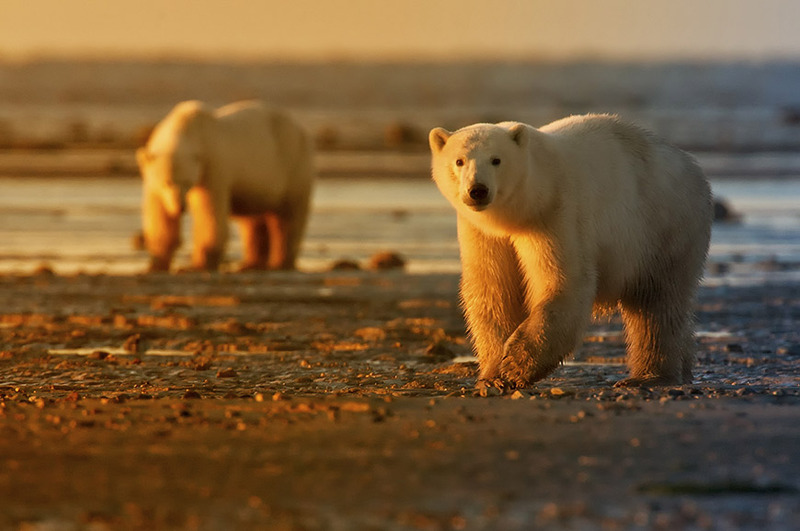 You'll travel to the remote town of Churchill to search for polar bears in their summer environment, and there's also the chance to get up close to beluga whales and explore Hudson Bay with expert guides. Located in Downtown Winnipeg, the boutique Inn at the Forks is situated next to Winnipeg's leading tourist attraction, The Forks. The recently renovated Riverside Spa offers a great place to relax, while the perfect location offers a great opportunity to explore the surrounding area. Room facilities include; complimentary WiFi and a 37 inch flat screen TV. The Lazy Bear Lodge in Churchill is located in the heart of polar bear country. Stay in a handcrafted log building and enjoy exotic local cuisine. <br><br> Hotel facilities include a restaurant. Bedrooms have private facilities, TV and Wi-Fi. Today you'll depart on your scheduled flight to Winnipeg and transfer to your hotel for an overnight stay. This morning we'll travel to Winnipeg's Assiniboine Park, home to the Leatherdale International Polar Bear Conservation Centre. We'll admire the rescued animals from a special underwater viewing tunnel. Later we'll fly to Churchill and transfer to the eco-friendly Lazy Bear Lodge, our base for the next four nights. 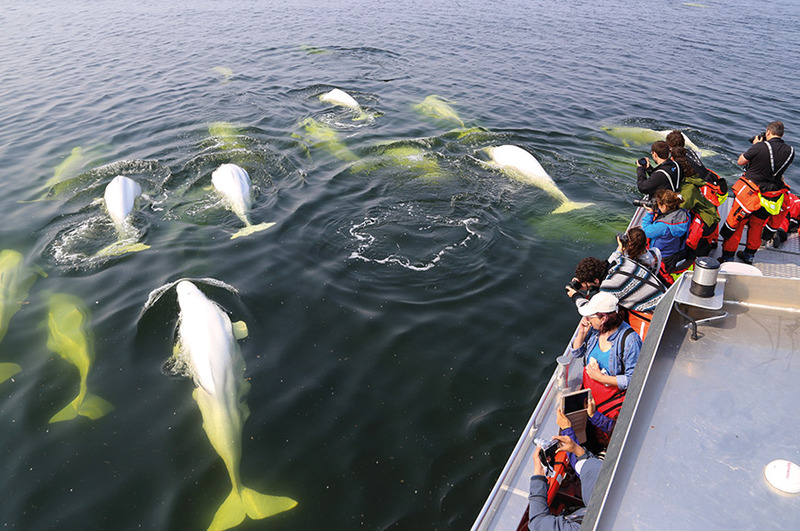 Summer is a great time to see wildlife in Churchill – thousands of beluga whales gather annually near the estuary of the Churchill River and polar bears leave the melted sea ice to hunt along the shores of Hudson Bay. On an included culture and heritage tour of the town, we'll see the Polar Bear Jail. This is where polar bears that stray too close to Churchill are humanely captured and 'jailed' until they can be safely released back into their own environment. We'll also visit the Cape Merry National Historic Site, where we can view the remains of a defensive battery constructed to guard the river mouth. This evening we'll gather as a group for an included welcome meal. The Prince of Wales Fort is a massive, partially-restored stone outpost that dates back to the 1700s. In the warm, shallow, near-coastal waters here, hundreds of beluga whales come to feed, mate and give birth and we'll go in search of these friendly marine mammals on a boat tour this morning. This afternoon we'll board an all-terrain tundra vehicle and set off to view the beautiful landscape that surrounds us. This is one of the best ways to explore the area and our vehicle is designed to have minimal impact on the environment. Hudson Bay is a great place to see polar bears, beluga whales and other Arctic wildlife and we'll explore this area today. Our coastal explorer vessel, the Sam Hearne, will take us to some of the more remote and beautiful habitats in Western Hudson Bay, where weather and wildlife permitting, we can walk on the tundra. We'll hope for sightings of polar bears in their lesser-known summer guise, lounging on the rocky shores and cooling off in the sea on the hot days of the brief northern summer. Kayaking is an unforgettable way to get up close to beluga whales, or you could try traditional dog mushing, you'll be able to choose one of these activities on today's optional excursion. This evening, we'll gather as a group to say farewell to Churchill over an included dinner. This morning is yours to do as you please, before we fly back to Winnipeg this afternoon. Tonight we'll gather for a farewell dinner at Fort Gibraltar. The fort dates back to the early 19th Century, a time when the French North West Company was in fierce competition with the English Hudson Bay Company over the fur trade that built modern Canada. The Forks area of Winnipeg has a rich history and you'll have time to explore it at your leisure this morning. You could also choose to visit the nearby Canadian Museum for Human Rights or take lunch in the city's French Quarter, before we fly back to the UK, arriving on day 8. Just You are an award winning singles touring holiday specialist. They provide amazing touring experiences for singles, groups of friends travelling on their own who want single rooms and also those who have to travel independently from their partners, but don’t want to travel alone. Travelling solo is liberating and with the right ingredients it’s the perfect way to see the world. Just You mix everything together to create the ideal travel experience for independent globe trotters. They think it’s a bit like making a cake. A sprinkle of culture, a good pinch of fun, a dash of freedom and a drop of adventure, with your Tour Manager and fellow travellers providing the icing on top. They’ve been developing itineraries for single travellers for almost a decade. Every trip is hosted by an experienced Tour Manager, while Local Guides add extra insight. They stick to this formula because they know it works. Their customers score them nearly 100% for their knowledge and tell them they’re second to none – an A* in anyone’s book! With single rooms at no supplement; a meet and greet at the airport; flights or rail included; overseas transfers and other transportation; many meals, exciting excursions, and the option to join in as much or as little as you like, you can’t ask for more. Visit website Enquire No Single Room Supplements!